When you’re buying a new home, it’s important not to forget about a home warranty. While house insurance covers the building itself, a home warranty protects the appliances and systems within it. Your insurance might cover natural disasters or emergencies such as fire or flooding, but your warranty is the cover you need for usual wear and tear and breakdowns. • You know that breakdowns and service errors are bound to happen, that’s just life. A home warranty ensures that fixing your appliances and services is seamless and efficient, getting them up and running ASAP. • If just one breakdown happens in a year, this could cost hundreds of dollars to fix. A home warranty limits the cost of fixing appliances to one certain monthly or annual fee. • No cap on the number of appliances fixed in a term. As long as they come under coverage, you can rest assured you will get the repairs you need. • Helps protect you against legal disputes which may come up post-sale about goods included in the sale and systems within the home. • Increases how marketable your home is, gives your property an edge above others in the area. • Saves you wondering about unexpected costs for repairs, or heavy use by tenants. Just one flat fee and all repairs and breakdowns are covered. • Gives you easy access to qualified and competent contractors without the hassle of searching for reputable and recommended names and numbers when problems arise. It’s pretty simple. Most home warranty companies will charge you a monthly or an annual fee, and in return will cover a wide range of appliances and systems in your home. When something breaks down or becomes damaged, you simply make one call or get in touch directly with your warranty provider. From that point, you can sit back and relax. The warranty company will provide a contractor to come to your home ASAP, assess the damage and fix the problem at hand. If the appliance or system is unfixable, they will offer a replacement, or in some cases, like with Choice Home Warranty- the value of the item in cash so that you can choose a suitable replacement yourself. As most appliances tend to break down any time after a year of ownership, it makes sense to have a home warranty as soon as any appliances you own are older than this. Will a Home Warranty Save Me Money? Home warranties vary in price, but the most expensive we’ve seen are still under $500 per year. A more usual cost would be about $300, or $35 per month. Some companies like Select Home Warranty even offer 2 months free of charge. If you imagine the cost of just one of your systems or appliances breaking down, including call out fees, repairs or replacements, this could easily run into thousands of dollars. Throw in the extra stress of finding a good contractor and dealing with the administration hassle… and you’re beginning to see why many people feel the value of a home warranty is priceless. There are some companies such as Advanced Home Warranty, who offer multiple subscription options such as a Basic and a Total plan. This means that you can look over the systems and appliances covered in the Standard option, and save yourself some money if you don’t need the bells and whistles. In this case, the Advanced Total plan covers a washer and dryer, refrigerator, and an air conditioning system. Some companies will encourage you to get in touch for a quote before they give you an idea of the price. This usually means that they want to consider the number of appliances you have, or the size and location of your home. It’s worth haggling on the phone to see if you can get a better deal or any special offers from customer service, especially as a new customer. Advanced Home Warranty for example, offers 13 months for the price of 12 as standard. Don’t forget to factor in added costs, which for the most part will be call-out or service fees. Industry standard is around $60 per call out. It’s also worth asking your provider what their claims limit is. While most will be around $2,500 or $3,000, some companies offer exceptional liability such as AFC Home Club which caps out at $7,500. Never accept a policy which cancels your subscription once you have made a single claim. The best home warranty providers should allow you to claim as many times as you need within your contract term, all for the same price. Which Features Should I Look for in a Home Warranty? Obviously one of the most important elements when choosing a home warranty is what is covered within the plan. These can be split into appliances and systems. 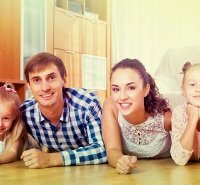 Some companies will work differently, offering fully covered plans to all for one price, or creating targeted plans with unique quotes to cover whatever elements of your home need the support for your peace of mind. It’s worth looking thoroughly around your home, and writing a list of the items you would like protected. Talk this through with customer service, and ensure they can offer you the coverage you need. Even if the item isn’t listed in their standard plans, they may well be able to accommodate you. Once you know that your home warranty choice covers the appliances and systems that you need, it’s also important to check out the customer service. Arguably the most important consideration is the help you get when you need it. Select Home Warranty offer 24/7 customer service, which we would always recommend looking for when you sign up for any kind of warranty. If your electrics stop working over Labor Day weekend, or your oven stops working out of business hours with dinner for four inside, you want to know that the help you need is only a phone call away. If you would rather type than talk, look for a home warranty company with 24/7 live chat from the website, or an online claims system such as Choice. The last important element is the contractors who will be sent to your home. As well as choosing a company who gets your claim to a contractor quickly, (First American will get your repair sent to a qualified specialist within four hours during the business day) you also need to rest assured that the people entering your home are fully vetted, trained and qualified to do a superb job. It’s reasonable to ask your company of choice what training and monitoring systems they employ with their contractors before you sign on the dotted line. Are There Any Extras I Could Benefit From? The main elements to look for are extensive coverage, reasonable costs and efficient and qualified contractors. Some home warranty providers have extra incentives to encourage customers to sign up. One great example is AFC Home Club. Whichever warranty protection you sign up to, users will be entitled to member perks of their exclusive Home Club. These include a monthly gift certificate to Restaurant.com, cashback with some of America’s top online stores (including Target, Bed Bath and Beyond and Macy’s) and even complementary medical alerts through the Emergency Alert Network. How Can I Choose the Best Home Warranty Plan? It might feel like many of the best home warranty companies are very similar, making it difficult to make a final decision. It’s true that the small variations in subscription prices, call out fees and contractor reputation can make all the difference in a time of crisis. Our experts have done a lot of the leg work for you, ensuring that you have total peace of mind when something goes wrong, rather than micro-managing a situation with a company you can’t fully trust. Our reviews, articles and comparison chart can show you at a glance what you need to know to make the right choice for your home.